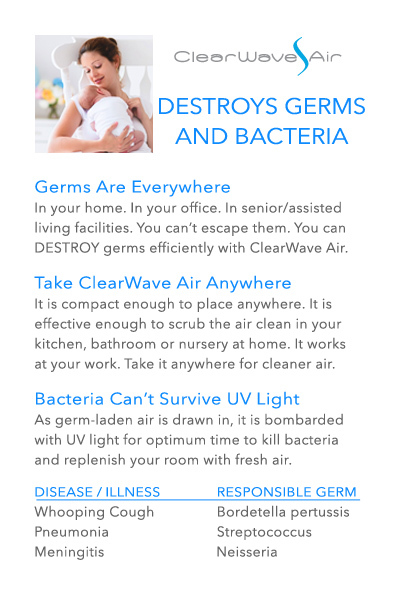 ClearWave Air | Destroy harmful viruses, bacteria, and mold spores to breathe easy. Delivers the Purest Air. Proven. 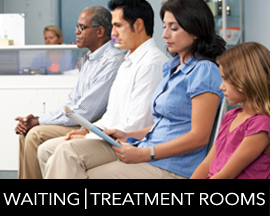 See how ClearWave Air is changing people's lives. We breathe 20,000 times a day. 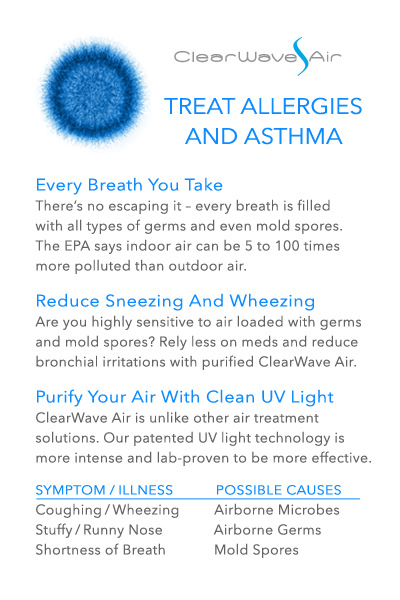 ClearWave Air lets you breathe easy knowing that every breath of air is clean, clear and free of germs that cause health problems. 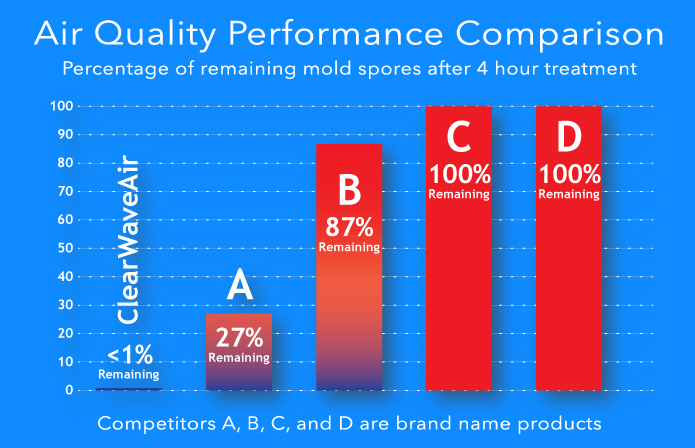 20+ ClearWave Air Patents Reinvent Air Purification Technology. 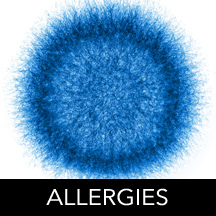 ClearWave Air is clinically proven to be the most effective air purifier available, eradicating disease-causing germs and organisms more completely than any other technology. No harmful germs survive our Kill Chamber. 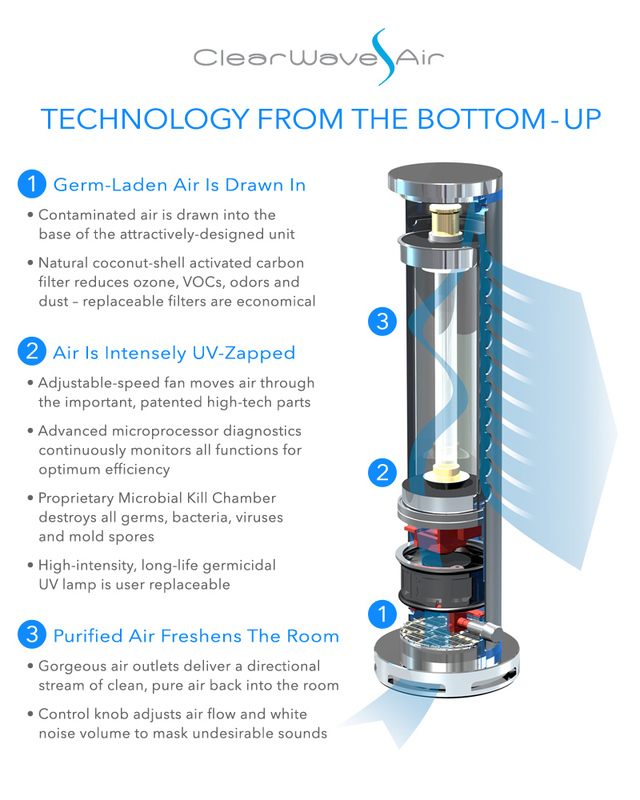 Exclusive ClearWave Air synergistic air-scrubbing technology kills unwanted microorganisms, mold spores and airborne pathogens and reduces ozone, pollen, odors and chemical compounds. 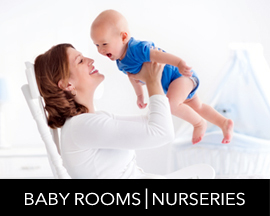 Babies and young children are susceptible to illness-causing airborne germs. 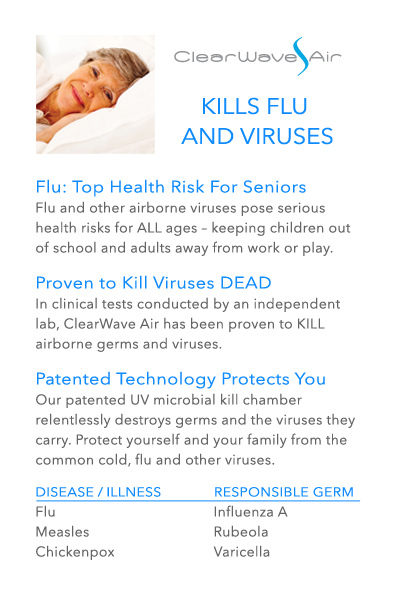 ClearWaveAir continually kills harmful viruses, bacteria, and mold spores. 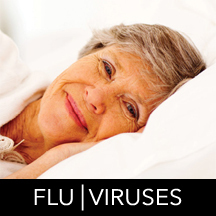 When experiencing or recovering from an illness, it is essential to minimize contagions and provide an environment with healthy, contaminant-free air. 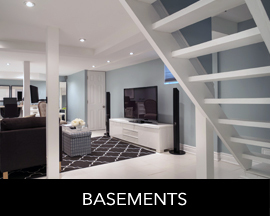 Stagnant basements and crawl spaces create an environment for mold and fungus. 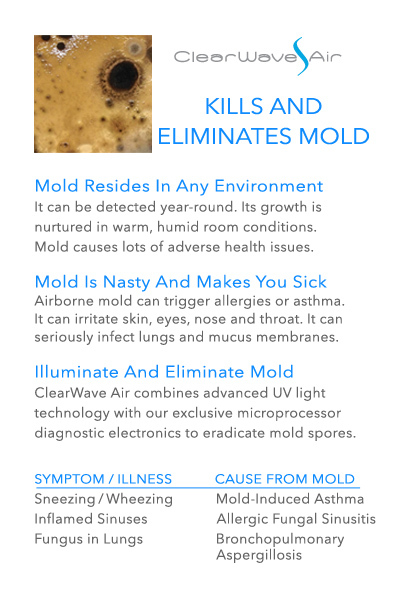 ClearWave Air kills airborne contaminants before they spread upstairs. 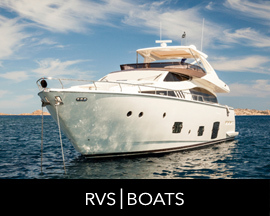 Continuously scrub the air of RVs and boats in storage with very little ventilation or air movement. 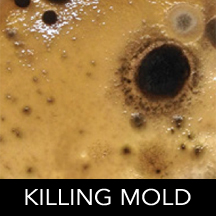 Kill airborne mold in moist or humid spaces. 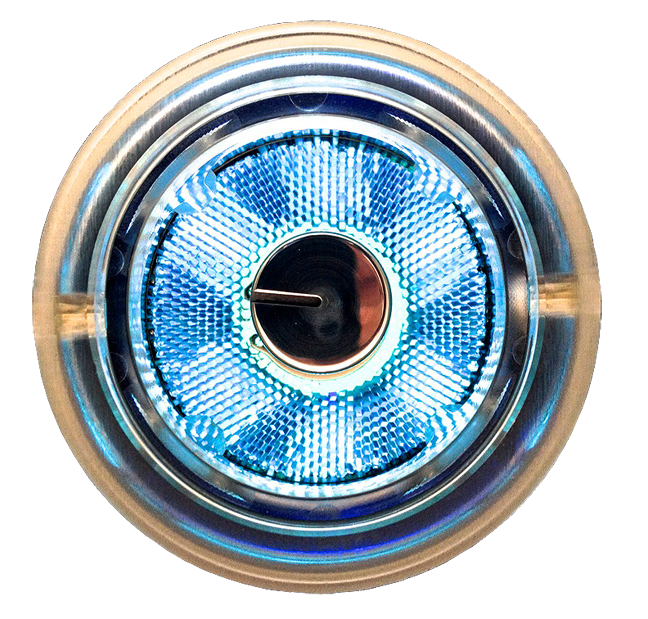 The ClearWave Air patented sterilization system destroys airborne microbial allergens, viruses, mold spores, microorganisms, and germs.